First Coast Forklift is Jacksonville's trusted source for forklift rentals, sales and services. We're a local business with over four combined decades of experience built upon a reputation for providing personalized service that goes above and beyond to meet out customers unique needs. 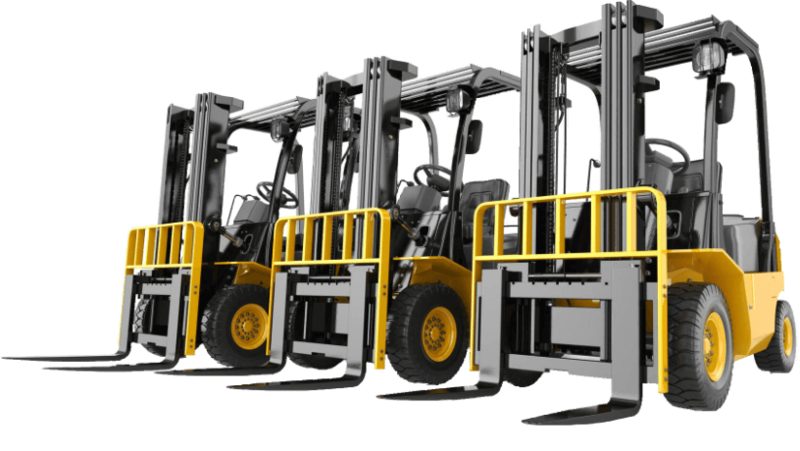 We offer a diverse selection of forklifts for every industry, including boat forklifts, pallet forklifts, container forklifts, and more. And, if we don't have it, leave it up to us to acquire it for you. With our expertise and dedication, you won't have to go anywhere else- guaranteed. When we're not buying, selling or renting forklifts, we're also getting our hands dirty maintaining and fixing them in-house or mobile. We pride ourselves on possessing unparalleled knowledge from years of experience to be able to service all of your needs. Take one glance at our rental fleet inventory and we're certain you'll be impressed. If we don't have what your looking for, we'll work around the clock to get it for you. At First Coast Forklift, our professional staff is trained to find solutions fast, so you can get back to business with a reliable forklift without worrying about searching for answers on your own or dealing with extra fees. We keep our overhead low so you get exactly what you need and expect from an honest, local Jacksonville business that always treats its customers like family.